approach to solve the thermal problems. 2. heat dissipation of power supplies and reduction of their noises. 3. the placement and adjustment of the second cooling fan in a system. 4. the heat dissipation requirements of other components and their associated noise reduction solutions. ThermalFly solves the thermal issues by taking into consideration of all these factors. not produce the best effects. component-level thermal solutions, but also a full range of complete thermal solutions to our clients. 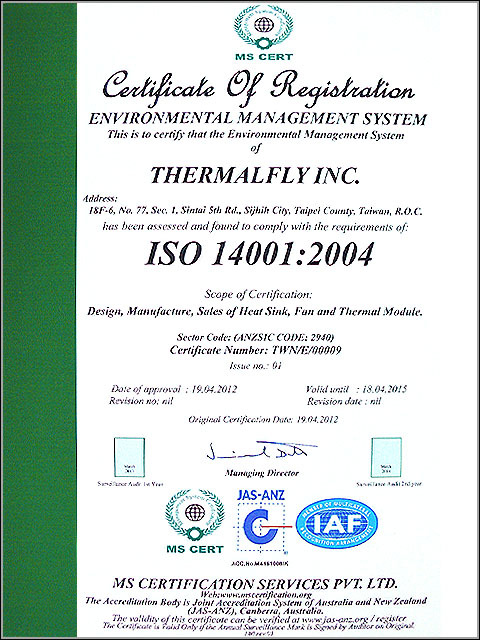 All ThermalFly products are manufactured through ISO9001/ISO14001 and ROHS industrial standards. and the other side marketing. Smiling Curve Theory represents the competitive advantage of ThermalFly Inc.
to Market, and Competitive Prices. factor interplaying with the business insight, and distinctive design is the base of technical innovation. to enhance the product quality, both on the retail and system integrator markets. components on the thermal field. linked to customers' requirements to make sure we have the best time-to-market products. low cost advantages to our customers. demand, ThermalFly will devote itself to other stage of branding campaign by taking broader market approach. mass production volume and those who request small quantities across a wide range of multiple models. is helping our partners to win the market and earn the profit at the first time. ThermalFly is confident that it is able to. procurement, production, sales and after-sale servicing. practices as part of ongoing efforts to protect the environment. 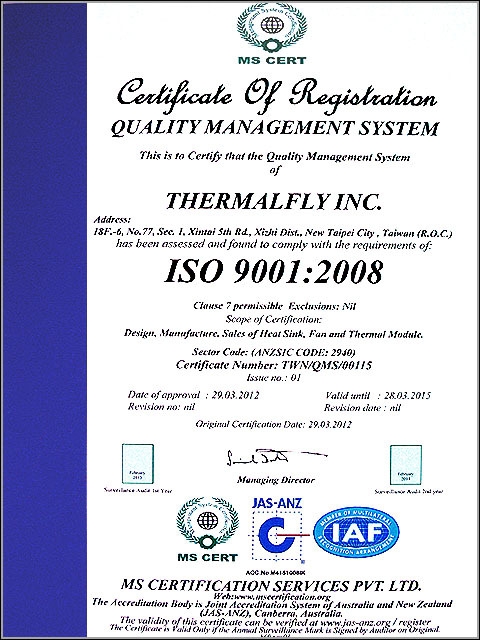 ThermalFly management, who must take prompt corrective action.